The second round of the NHL playoffs are well underway and since my beloved Bruins find themselves again on the outside looking in, it is time to fine reasons to cheer on some of the other teams that are still in it. I hope to share several posts like this in the coming weeks as we come closer to seeing a new NHL champ crowned. 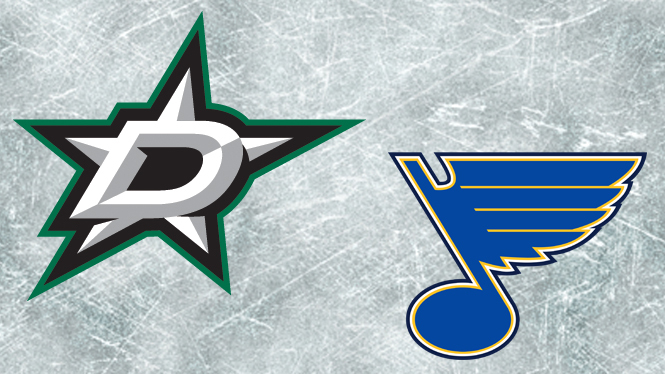 Last night, the Stars won in overtime to even their series with the Blues at 2 wins a piece. Living Up to My Name would like to share a couple of stories with you about why we would be OK with either team winning this series. It comes down to these 2 great stories. First to the Dallas Stars. 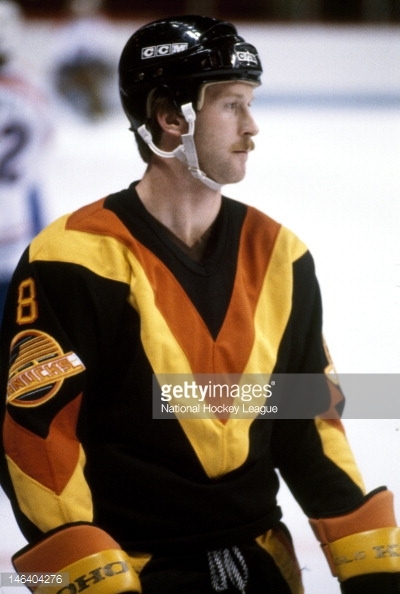 Jim Nill was drafted by the St. Louis Blues, so he has a history with both teams in this series. He is currently the General Manager of the Dallas Stars, responsible for assembling the players on the team and negotiating their contracts. 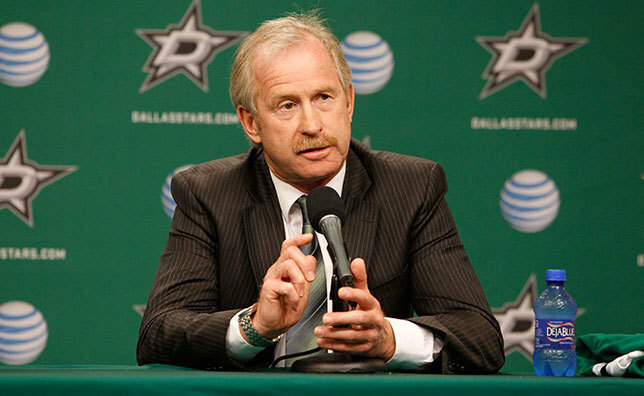 He has served as the GM for the past 3 seasons, and has helped the Dallas Stars become a top contender in the league. 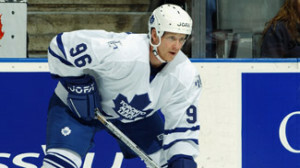 During his playing days, he appeared in 61 games with the blues and over 500 NHL games in all in with 5 different teams. After playing, he moved in to scouting with the Ottawa Senators and then the Detroit Red Wings where he was part 4 Stanley Cup Championship teams (1997, 1998, 2002, 2008), earning promotion to the position of Assistant General Manager. 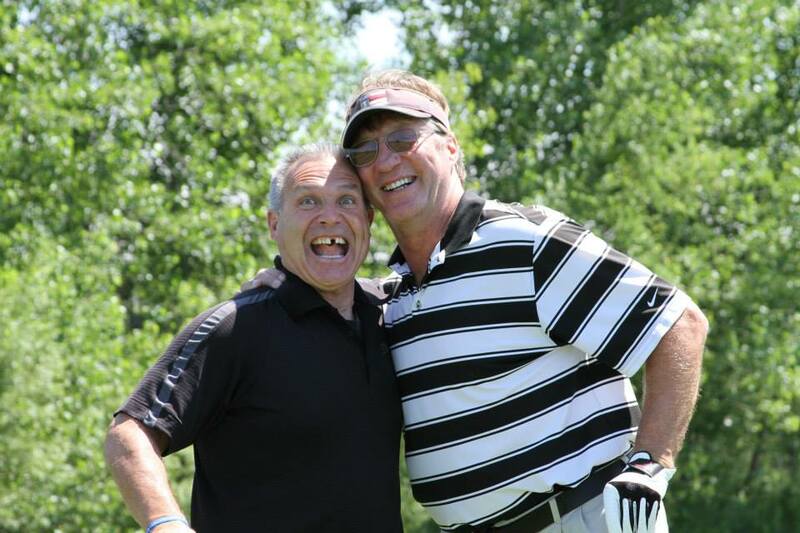 As you can read in this article from Hockey Ministries International, during his time playing with the Winnipeg Jets, Nill became friends with Laurie Boschman and Doug Smail, two Christians on the team. That friendship led Nill to participate in the HMI hockey camps and their influence, along with his wife Bekki who had been praying for him for 20 years, Nill became a Christian. He says “knowing Christ has completely changed my life and brought a feeling of peace to not only me but my family“. And as I have shared many times on these pages, a faith in God does not remove the challenges or hardships that life brings. Instead, he just shows up to walk through them with us. In 1999, Bekki Nill was diagnosed with Breast Cancer. She went through treatment and was Cancer free for years. But in May, 2011 the cancer returned. She was given 2 months to live. 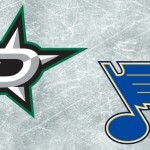 Check out her story in this video from the Dallas Stars. 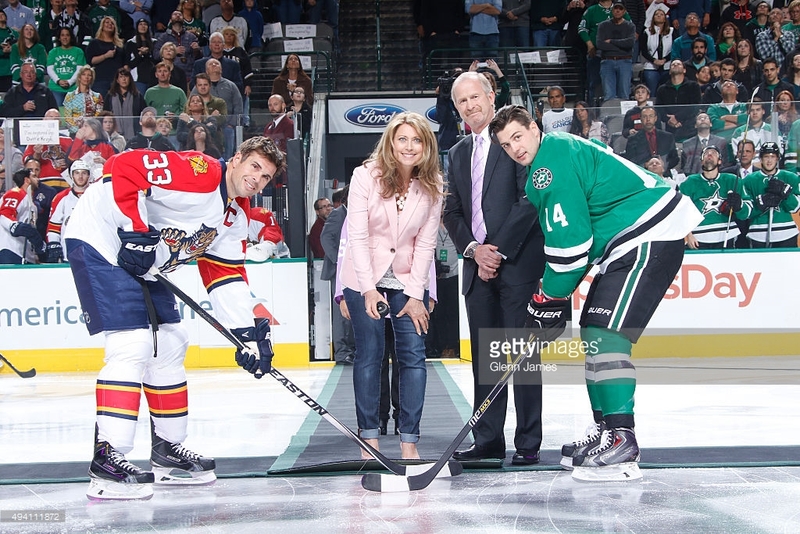 Jim and Bekki Nill drop ceremonial first puck and discuss the battle she has been fighting with cancer. Live out your Purpose – Jim Nill talks about how cancer has affected his family’s life. He says “Even as she (my wife) goes through this illness, she knows it’s not about her, that it is God’s will and His journey. If the journey is made for her to touch another person’s heart, she is willing and able to do that.” God rarely takes all the obstacles out of our path. Instead, he makes his presence evident in the midst of the struggles so that we realize that only through Him does our life have purpose. His purpose is for us to know Him and tell others about Him. 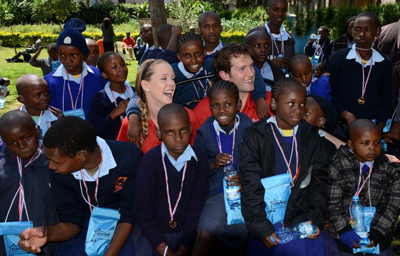 Our story is His story lived out for others to see. How can He use your story to draw others closer to Him? And now to the St. Louis Blues. 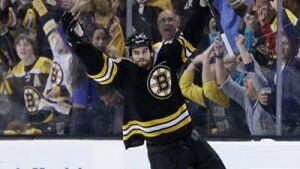 Backes is currently 2nd on the team in goals and 3rd in scoring in the playoffs. As you can read in this article from FCA Magazine, Backes grew up attending church but when he went away to college, his parents began to grow in their faith. This triggered a similar growth in Backes’ faith. He now regularly attends chapel services with the Blues, as well as a multi-sport bible study in St. Louis, lead by former NFLer Grant Williams. 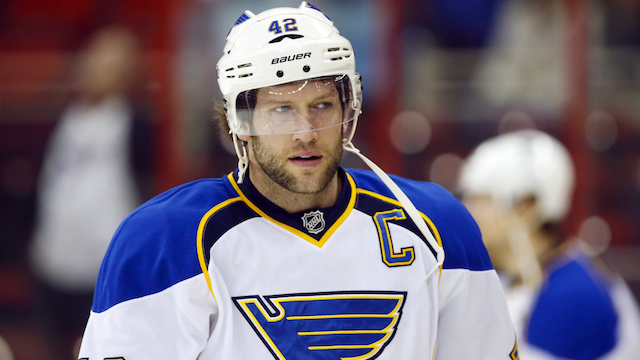 Backes says “In my faith walk, I’ve needed to surrender and recognize He has a bigger plan for me. 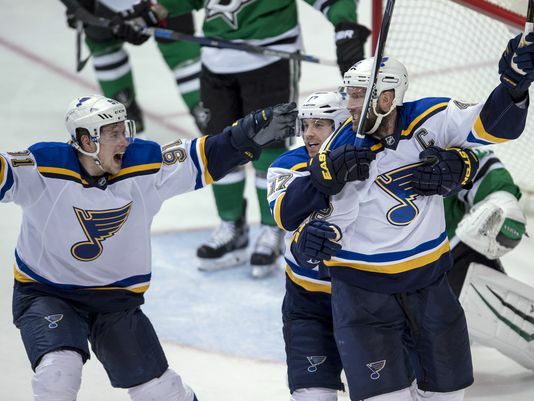 This is not my own will, and I am right where He wants me to be.” Where Backes finds himself right now is the Captain of a Stanley Cup contender battling against the Dallas Stars presently for a chance to move a step closer to the Stanley Cup – far beyond his wildest dreams. God’s plan is Always bigger – I touched on this earlier when I talked about Jim Nill and how God can use our story to tell others about Him. But to be honest, when we stop and take stock of the adventure this life has lead us on, it is hard to believe how God has worked all the details out for us. He accomplishes far more than we can ask or imagine by his power at work in us. (Ephesians 3.20) He does have a plan for each of us and His plan goes far beyond what we could imagine. So choose to follow Him and then brace yourself for the adventure of a lifetime! Tonight is Oscar Night! Earlier in my life, this was a day I would mark on my calendar and plan events with friends. I was a big movie fan and would set my goal to watch all of the “Best Picture” nominees before Oscar Night so I could make informed picks on my “Oscar Pool” prediction sheet. Nowadays, life has changed a little. 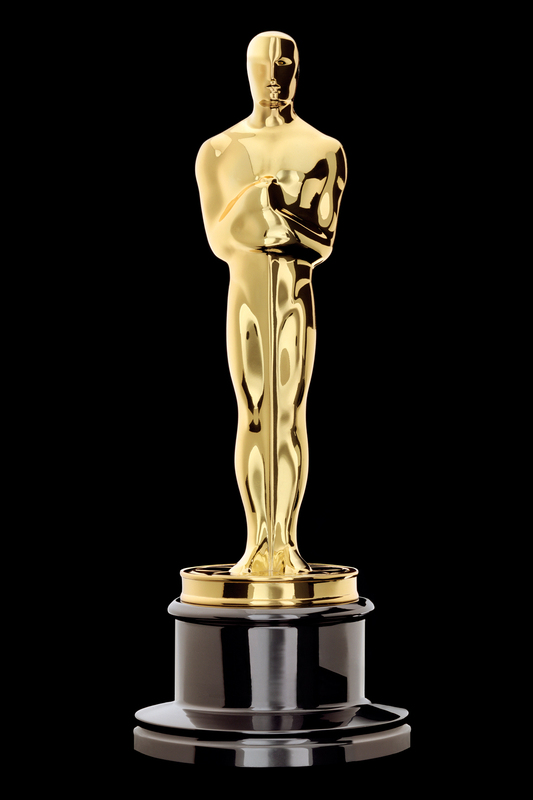 I’m lucky to have heard of 75 percent of the nominees before Oscar Night and the chances that I have seen any of them? Very small. The category that I am most familiar with is likely “Best Animated Film”. With 3 movie loving daughters in the house, it is likely that some of these nominees have been on screen here (more than 1 time). 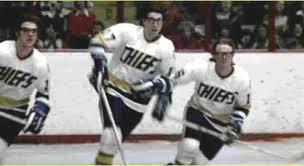 And so as a throwback to the movie fan in me, and in celebration of the Oscars, I will pay tribute today to a former hockey player who turned down a role in the hockey classic “Slap Shot” to pursue a professional career. 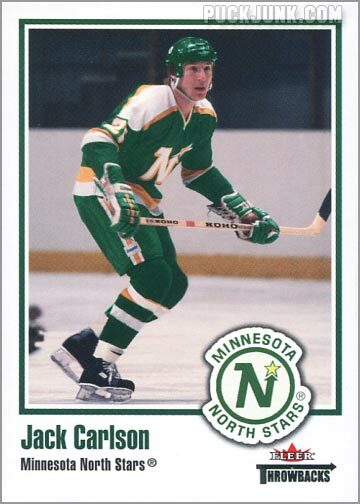 Jack Carlson was born in Virginia, Minnesota – a 3 hour drive north of the Twin Cities. 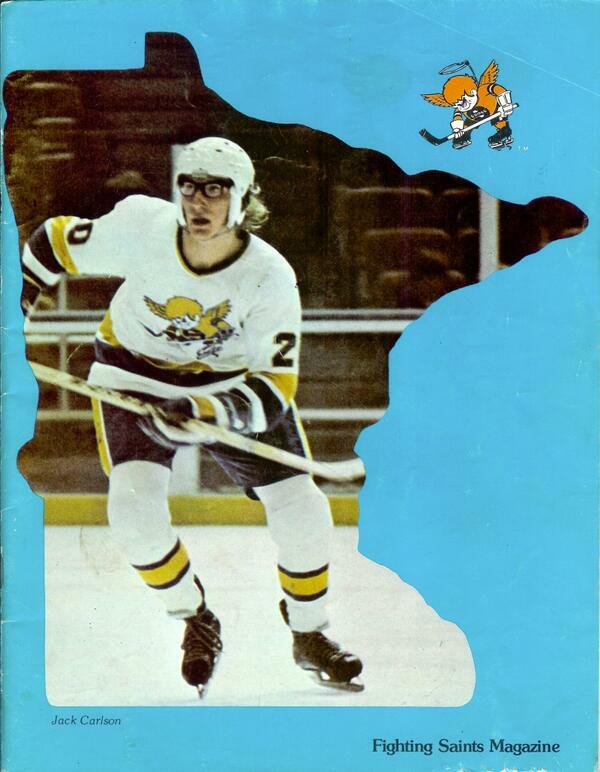 As you can read in this article from Vintage Minnesota Hockey, the part of the now famous “Hanson Brothers” from the Slap Shot movies were based on the real-life Carlson Brothers from northern Minnesota. The movie has become a great success, even being considered as one of the greatest sports movies of all-time. And while I have never seen the movie myself, and cannot speak to its appropriateness, it is part of the story of Jack Carlson, who missed the filming of the movie because his career came calling. In 1976, just as his brothers were learning about their upcoming movie role, the Edmonton Oilers were calling. 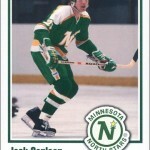 Carlson had been playing for the Minnesota Fighting Saints in the WHA, but they were going to fold, making their players available for other teams to sign. That is when Edmonton came calling. Jack agreed to play for the Oilers, turned down the movie role and went on to play over 500 professional games between the WHA and the NHL. And predictably, the part of the game that Jack Carlson was most known for was the rough stuff. He amassed 1111 penalty minutes in his 508 professional games. 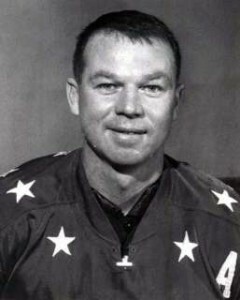 Butters had not only been a teammate of Carlson’s but was also a scrappy player who fought his way through his career. He became a Christian helping out at youth hockey camps. Now he was sharing his story at Billy Graham crusades. Carlson called the number on the screen and the next day, Butters shared with Carlson about Jesus offer of forgiveness and salvation. Carlson accepted Christ as Savior over the course of their conversation. These days, Carlson works as a referee, and helps Butters put on youth hockey camps though Hockey Ministries International. Billy Butters and Jack Carlson have lots in common, Born in Minnesota, teammates and believers in Christ. Butters led Carlson to faith in God. 1- Paying our Price – I like the analogy Butters uses to explain Jesus sacrifice. It is one I have used myself in explaining this concept to kids. It is like when the goalie on a hockey team commits a penalty. Someone else goes and serves the penalty in his place. That is what Jesus did for us. He served our penalty. But our penalty carried a much greater cost that 2 minutes out of the game. Our penalty was separation from God forever. And Jesus took that on for us. He sat in our penalty box and served the penalty in our place. What an amazing gift this is! 2- Lessons from your own Life – Jack Carlson had the rare privilege of seeing a version of his life on the movie screen. I can’t imagine what it would look like to have my life depicted on a movie screen. What would be shown? If we step back and see what the story of our life is, how happy are we with what we see? I know that my character would be very flawed, would hurt others – sometimes accidentally and sometimes intentionally. What parts of our story would we want to share and what parts would we want to hide? The truth is that our story is known – the good and the bad – by the God who created the world and everything in it. And knowing us as He does, He still offers to serve our penalty for us and welcome us to join Him at His place forever. What an amazing love our God shows! Are you ready for some HOCKEY? Let’s take it outdoors! Happy New Year from Living Up to My Name. When I was a teenager, I didn’t really get the new year celebration. I didn’t really have much in my life to get excited about. I struggled to find a purpose for my life and every opportunity to look back at what the past year had held often left me feeling sad, unfulfilled and without direction. Then things started to change. God proved himself to be true, I met the woman that I would marry and my life began to have purpose. Steph and I were married on New Year’s Eve in 2004 and so for the last 11 years, ringing in the New Year took on a new and exciting meaning for me. And now I really enjoy this time of the year. 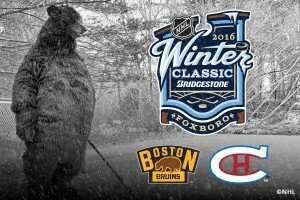 And today, as a sports fan, hockey fan and Boston Bruins fan, I get to watch one of the coolest sporting events of the year (and I likely mean that both literally and figuratively) The NHL Outdoor Classic this year will be played at Gilette Stadium in Foxboro, Massachusetts. And since the game will feature my favorite hockey team, imagine the giddy excitement with which I share the story of a member of the Bruins – Adam McQuaid. Stanley Cup Champion Adam McQuaid raises the cup in Vancouver in June 2011. He has begun attending a non-denominational church in suburban Boston where he is able to remain somewhat anonymous. The article shares a funny story about one Sunday when he went to church. “At the start of the service, the congregation is encouraged to greet those in the seats near, to shake a hand or two. The man sitting one row behind McQuaid reaches out, looks in McQuaid’s eyes. “Basketball? Take an elbow to the face?” he asks, noting the blackened left eye and the stitches on the cheekbone. 1- Personal Journey with others – Our faith journey is one that we take alone. We have to chose to follow God and make our relationship with Him our own. But there are others around us that are also trying to live out the purpose for their life by following God. In this article, the players mentioned were encouraged and excited to find out about other believers in the league. McQuaid took lessons and challenges from the stories of Tony Dungy, Tim Tebow and Clayton Kershaw. It is this very reason that I started this blog in the first place. My faith is not in the men that I write about – they are all flawed like me – but a very real God is doing very real work in their lives and so their stories encourage me to follow God and thank Him for the way he works out His plan in our lives. How have you been encouraged in your faith walk by the stories of others? How can your story encourage others who are living for God around you. Let’s live out this personal journey of faith in God, but let’s also celebrate that there are others around us that are living for Him, too. Let’s encourage one another and build each other up. 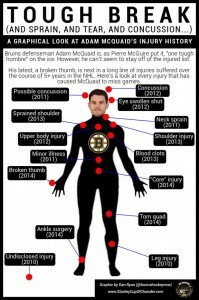 McQuaid is known for his physical game. He is also becoming known for his boldness in discussing his faith in God. 2- Exposed – In the article, Dan Hamhuis, talks about being a Christian in an NHL locker room. He came to the NHL with the Nashville Predators, and there were other believers there so “He was comfortable, he said, and “not afraid if it came up that I was going to be exposed (…) In a hockey dressing room if you do anything out of the norm you’re going to get called out on it, whether it’s a funny hat you wear, a new pair of shoes, or a bad haircut,” said Hamhuis. “So you’re always kind of on guard and aware of yourself. In matters of faith, it could be something that guys might give you a hard time about, and if you’re not real mature in your faith, you might not be comfortable defending it.” It can be a delicate thing. The Bible is clear that we are to acknowledge God before others and I know that to be true but to really share the truth of who God is and how important He is to your life requires an effort to not frighten or alienate people. We need to earn a place to be heard. Let’s be true to Him and not hide the importance He plays in our lives while being loving to others. Let’s allow our words and presence in the lives of people who don’t know God represent Him in a way that will invite them to see the difference He can make in their lives. 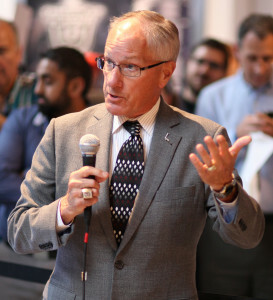 Last time I wrote about an icon of U.S. hockey broadcasting – Doc Emrick, and his faith in God. Today, I will do the same north of the border. I grew up watching Hockey Night in Canada on Saturday nights. Coaches Corner was always an entertaining part of the program. In that brief segment during the first intermission, host Ron MacLean and former NHL coach Don Cherry would give their opinion about something that was going on in the hockey world at the time. 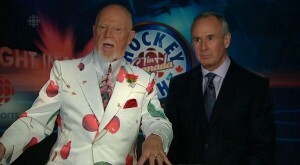 Don Cherry tends to be a very divisive figure. He is loud (both in voice and in wardrobe), opinionated, and outspoken. He would occasionally spark controversy with his comments and people tend to either love him or hate him. But enough people loved him that he was named to MacLean Magazine (no relation to Ron that I know of) as one of the 10 greatest Canadians in history. I didn’t mind him most of the time. He is entertaining and passionate about hockey and I can get that. In this video, Cherry speaks of a desperate prayer that he made at the age of 36, worried about what the future would hold. He felt God answer his prayer by telling him to “go back to hockey” and 2 years later, he is coaching in the N.H.L. In the book “Along Came God: Miracles in Everyday Life” by George Slater. Cherry tells his journey from being unemployed to His successful return to hockey. The credit? 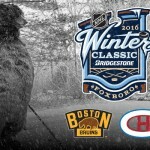 Cherry says “I remember my first game behind the Boston bench[…] I thought back to my room in Rochester where I couldn’t get a job sweeping floors and how I asked the Lord for help and to show me the way[…] In only three years He pointed the way back and I was on top of the world. In just three years, and they say there is no God!” The Lord rescued me in my darkest hour. If you are having a hard time in life like I was and you believe, He will help you”. 1- Pray for Help and Be Willing to Work – Cherry had reached his end. He prayed for help and God directed him back to hockey. But he had some work to do to get back in game shape. He was 25 pounds overweight. He was 36 years old. But he worked hard to lose the weight and get back into game shape and made the team. God has a plan and power to carry out that plan but he also gives us the chance to be obedient. Cherry trusted God and went to work. What has God called you to? Are you ready to put in the work of obedience to Him? If so, prepare yourself. He can take us far beyond our greatest dream or our most extravagant imagination. 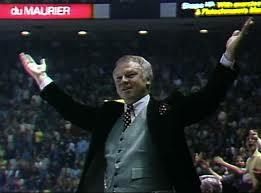 Don Cherry the Coach. Behind the bench of the Boston Bruins. 2- Ready to Give Back – Near the end of the interview with Lorna Dueck, Cherry talks about speaking with kids, talking about the hard issue of suicide. Now I don’t know how close Cherry was to going down that road, but he says repeatedly in the articles that I read that it was his darkest, most depressing time of his life. That was when he called out to God and God answered his prayer. Now he is speaking to those who are battling through some dark days. He spoke in the interview of second chances. We have all been given a second chance. (and many more than that even). We deserve death as a penalty for our disobedience to God, but Jesus paid that death penalty for us and offers us a second chance. 3- Who do you worship – The interview and the stories that I read often referred to hockey as the national religion of Canada. Sadly, I think there is some truth to that – but it is not just a problem of Canadian hockey fans. We all have things that we worship and make more important than God. Work, family, money, stuff, celebrities, just to name a few examples. But in the end, all of those will fall short and let us down. God is the only One that is worthy of our worship. Let’s keep Him as the focus of our life and let’s save our worship for Him alone! 4- No expectation of perfection – The temptation can be to think that so-and-so can’t possible be a Christian – look at what they say or what they do. I’ve seen them ____ fill in the blank with a sin or behavior that is unacceptable for a Christian to do. And there is something to be said about the fruit that our lives produce. But would I ever hate to have that lens pointed at my life. Cherry knows that he is still messes up. ““I always get a guilty feeling about them, and I try to smarten up the next time.” I hope that we can all understand that we make mistakes and learn from them. The Stanley Cup has a great way of reminding us that life is not fair. John Adams’ got his name on the Cup before he played his 1st NHL game. Let’s prove that point. 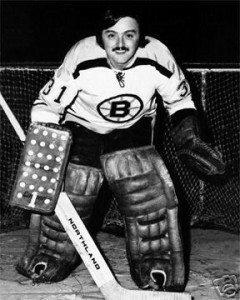 John Adams was the third string goalie for the 1970 Boston Bruins. He was on the roster but wouldn’t play his first NHL game until 3 seasons later. He would only appear in 22 NHL games in his entire career. 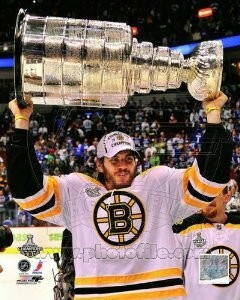 But when the Bruins won the cup in 1970, Adams’ name was engraved on the Cup. Contrast that with Phil Housley. He played in 1495 NHL games with 8 different teams without playing for a Cup winning team. 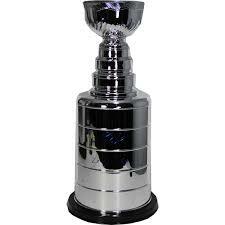 That is the record for most games without a Cup. It just doesn’t seem fair. Mike Emrick is a voice that hockey fans in the U.S.A. know well. He is the primary voice for NBC’s hockey coverage so his voice is familiar. But it was in a different setting recently where he used his voice to share another example of perceived unfairness. Here is a message he preached at his home church in St. Clair Michigan as recorded on the Hockey Ministries International website. 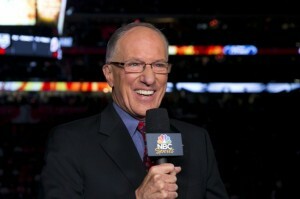 Mike “Doc” Emrick is the voice of hockey in the U.S.A. He is the primary voice for NBC’s hockey broadcasts. Emrick shares the story of Brad Stuart who in 2008 was traded from the Los Angeles Kings to the Detroit Red Wings. He played in only 9 games with the Red Wings in the regular season, but was with them for their playoff run in which they successfully won the Stanley Cup. As the Stanley Cup winnings were divvied up and the rings handed out, Stuart received the same portion as those who had been on the team all season. No one complained, no one really gave it a second thought. Emrick compares that to the parable from Matthew 20 where a land owner agrees to pay some workers for a full day of work. He goes back throughout the day to hire more workers. At the end of the day, he starts by paying those who were latest to arrive a full days wages. Those who put in a full day then expected a bonus. When they were paid what they agreed to, they complained. It is an interesting take on the story and a great demonstration of how the ultimate reward is shared equally among all who participated, regardless of their participation both in heaven and in hockey. I appreciate the reminders like this message from a hockey sportscaster which reminds us to not get caught up in comparing ourselves to others or questioning who God offers grace to, and instead celebrate that we serve a God that is powerful enough to change all hearts and extend grace to everyone. Here are some points to ponder. 1- Our Great Savior – The amazing thing about Jesus is that He died to offer grace and forgiveness to all people. I heard singer Derek Webb talk about having an awareness of our sin and when we come to terms with the depth of our sin, we begin to understand the greatness of our Savior. Let’s be real with ourselves and understand the desperate need that we have to be saved from our rebellion, bad choices and mistakes. As we understand our own desperate need for Him we can really celebrate that He DID pay the price and offers freedom from our sin. And whether we come to this understanding at a young age or in our last breaths, His offer remains vaild for ALL who chose to believe in Him. 2- Do you Love what you Do? – In this article from Geneva College, Emrick talks about doing a job that he loves. He says “A man is very lucky if God gives him a job he enjoys.’ I am lucky, that’s for sure. I know if it weren’t a calling, I would have probably found something else along the way. It is a wonderful job and I am grateful for it.” I wanted to do his job. My dream in high school was to be a hockey broadcaster. God however had different plans for me. But I am OK with that. He has brought me to a job that I really enjoy and in the process he has brought out gifts and interests that I wouldn’t have guessed were in there. What do you do? How has God led you to that place. How can He use you for His purposes in the place he has put you? God’s plan is the best and if you trust it and see it develop, be grateful for how He is at work!